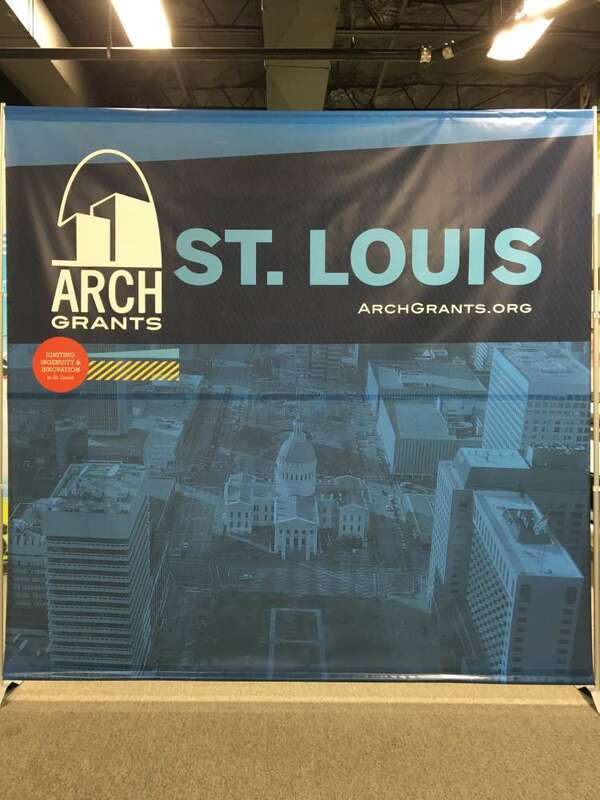 With the help of SpeedPro Imaging St. Louis South, your pop up trade show display can be adjusted to fit any kind of occasion under the Gateway Arch. With more than 20 years of combined experience in the industry and plentiful knowledge about the surrounding area, we’ll gladly take on any request you bring through our doors! As a winner of the 2015 Chamber of Commerce Ambassador of the Year Award, our owner — and therefore our studio as a whole — has demonstrated an unwavering commitment to helping businesses throughout our local communities. We’ll approach your project with the same zeal, as we can craft an impactful, portable trade show display that accurately reflects your company’s image at expos, festivals, concerts and just about any other event there is that involves promoting goods and services. After consulting with you thoroughly to learn every possible detail that we can, we’ll recommend products from our large catalog that we feel will best suit your needs. With everything we offer, you’ll be receiving functionality, durability and ease of use along with increased customer interest. 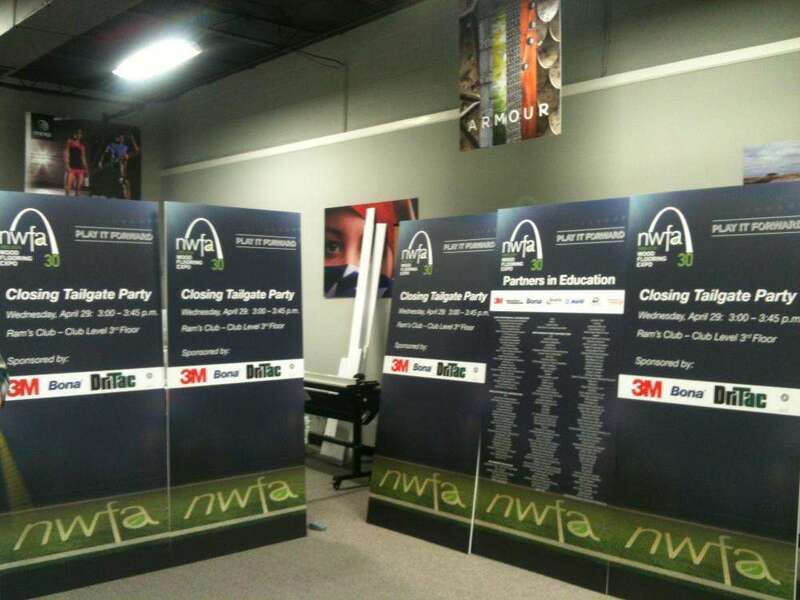 Banner stands: Our retractable banner stands are excellent marketing tools. No matter what venue you’re operating in, we offer a range of materials, sizes, styles and models to fit the criteria. The banners themselves are printed using long-life inks, and they can be single- or double-sided. Stands are available in retractable, telescopic and spring-back styles. The three models include economy, standard and premium. 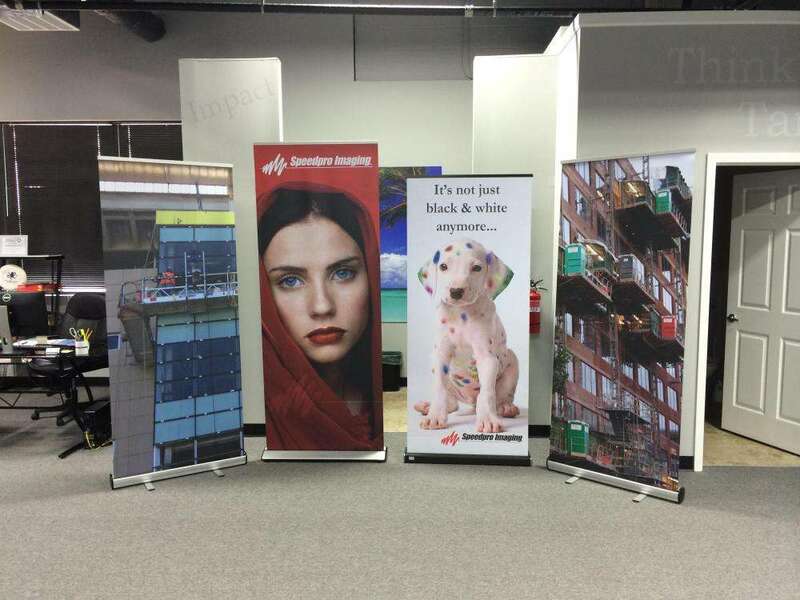 Hop ups: Hop ups are lightweight kits that can display large fabric graphics. 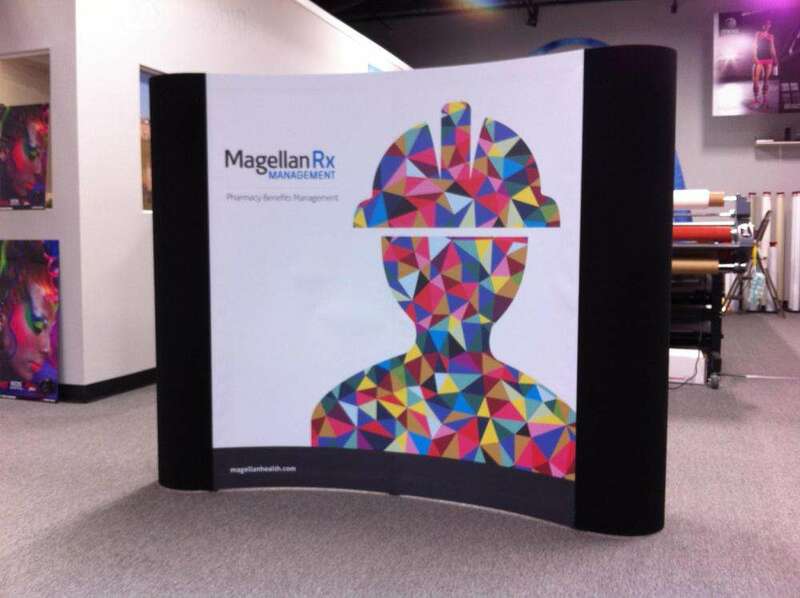 Utilize them as a trade show backdrop or tabletop display. They require no tools for setup, and they come with carrying cases, so travel is a breeze. Choose from multiple lighting options to make your images pop. Table toppers: Extend your brand to every available surface with our colorful, customized table covers and runners. Our round-table formats include fitted and stretch throw. For rectangular tables, we offer convertible and imprinted table throws. Other options include multiple-level, curved and multiple panel. Tents: If you’re taking your display on a trip into the outdoors, a branded tent can serve a big role in the ensemble. We offer three different styles: tubular, popup and inflatable. You can choose your ideal size as well. Tents deliver valuable protection from the elements in addition to every visual advantage they provide. Backlit graphics: Backlit displays are a popular choice for those who want to stick out from the crowd. These easy-to-setup frames with LED lamps inside illuminate a graphic cover that can easily be exchanged with other designs in the future. To keep your new products in line with your preexisting branding elements, we’ll use our best color-matching practices. Contact us today to select a date for your consultation. To visit us in person, remember that our studio is located just off Interstate 55 at Lindbergh Boulevard. We serve clients in St. Louis, Columbia, Springfield, MO, and Springfield, IL.